A standard baby video monitor is usually sufficient for many of us who live in apartments or condominiums, however, this may not be the case if you're living in a house. 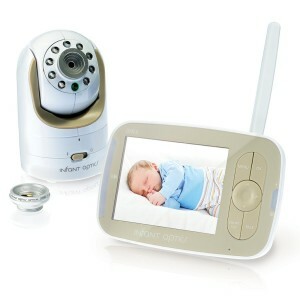 This is because most standard baby monitor range are not able to cover the bigger area that encompasses a house. Fellow moms, this is when you need a long range baby monitor. There are generally 2 types of long range baby monitors in the market - audio only or audio + video. 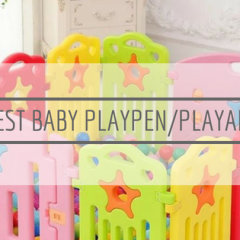 Although there are some that are video only, we do not recommend getting these because you'll not be glued to the screen all the time - you need to be alerted by any sound that is going on in your baby's room. Most long range baby monitors engage the 2.4GHz FHSS wireless transmission method to ensure the video image is always clear and undisrupted. But perhaps the biggest benefit is that this type of transmission method is fool-proof in terms of privacy protection because you're not connected to the internet hence there is no chance/risk of your gadget being hacked thus compromising your privacy. Baby monitors that use the internet or WIFI to connect, on the other hand, is more susceptible to said privacy leaking. Which is why it is important that you choose a good and reliable long range baby monitor that has features to safeguard against this. 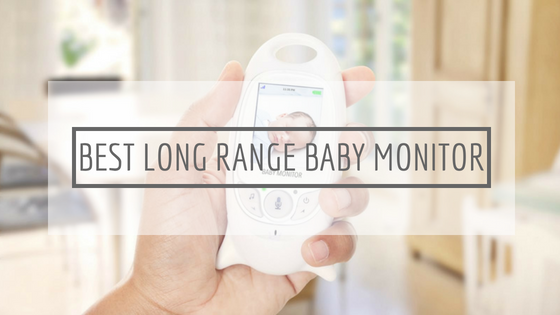 Nevertheless, there is one major perk of this type of long range baby monitor that cannot be disregarded - they truly make for the best long range baby monitor because they are not limited to home-use only. To give you an idea on baby monitor range comparison, the standard baby monitor range of most FHSS wireless transmitted baby monitors is between 700-900ft, with some reaching 1000 ft if it is audio only. WIFI-transmitted? There is literally no limitation - you can check on your baby wherever you are, as long as you're connected to the internet. So as you can see, both have their own perks and cons. To choose the best long range baby monitor for your home, you should first consider your lifestyle - are you a working mom/always away from home but would like to keep an eye on your babysitter? 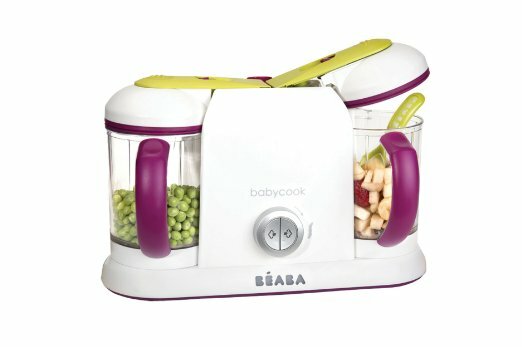 Or are you a stay-at-home mom who needs to move about with chores around the house when baby is asleep? 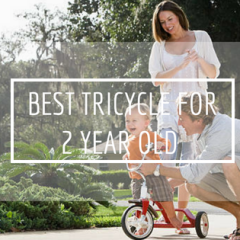 Not just a highly-raved long distance baby monitor, the Infant Optics DXR-8 Video Baby Monitor is one of the best baby monitor overall as evidenced by the many awards it has bagged over the years. This is the first ever baby monitor in the market that comes with interchangeable lens so that you can customize your viewing angle and zoom accordingly to your wish. Choose the most suitable focal length and viewing angle for the specific environment (just like a professional camera system), we recommend using the close-up lens for intimate vision of your infant, and swap for a panoramic lens when your child becomes more mobile to provide a full view of your child's activity. The maximum range it can cover is up to 700 feet. In terms of long range baby monitors, this may not be the baby monitor with best range because there are certainly other models that have a wider coverage but for most households, the 700 feet coverage is more than enough. There are many reasons we rate the Infant Optics DXR-8 number one besides its long distance coverage. For instance, the colour LCD display on the 3.5 inches parent unit screen is crystal clear and smooth, and thanks to the 2.4GHz FHSS wireless transmission method, you can get undisrupted real-time and delay-free video and audio streaming. It is easy to setup, in fact, you can say there is no setup required at all because all you need to do is plug and play. In power-saving mode, it can last up to 12 hours whereas if you put the display screen constantly on, you can have 8 hours, which is usually enough for most parents will not leave baby alone for more than said period of time. One optical zoom lens is included in the package and you can control the camera's direction to pan, tilt and digitally zoom remotely. A row of LEDs allows you to see the sound of your baby’s voice alerting you if he/she is crying out when you have the volume turned down, and the remote in-room temperature display lets you know your baby is comfortable and safe. Undisputedly one of the best long range video baby monitor, the Infant Optics DXR-8 is one that we would highly recommend if you are looking for a long range video baby monitor that is high quality and reliable. Make sure you purchase one from approved retailers to ensure you are eligible for its warranty protection. 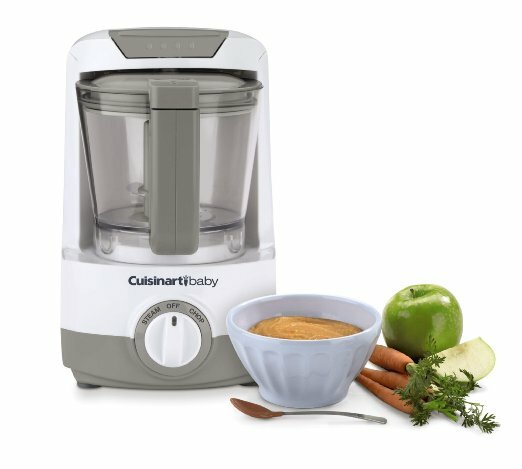 For a cheaper alternative (this one here is under $100! 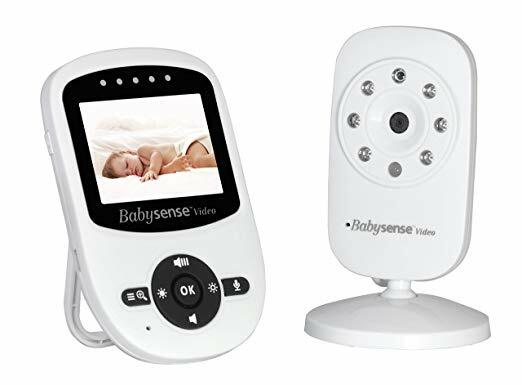 ), we recommend the Babysense Video Baby Monitor which is one of the best affordable baby monitor without skimping on the quality. Let's start with the focal point (pun intended) of this article first - the maximum range of this baby monitor here is up to 900 feet (open space) which is sufficient for most households. 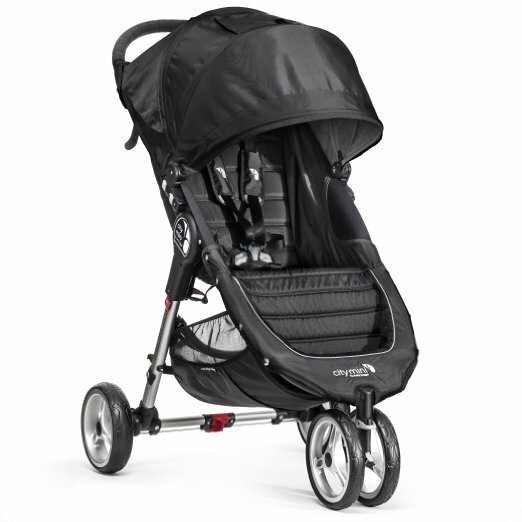 There is an out-of-range warning feature that will alert you in the event you go beyond the furthest reception point so you know you'll never unconsciously be out of range from baby. Similar to Infant Optics, it uses enhanced 2.4GHz FHSS technology so you do not have to worry about your privacy leaking. It also provides high definition and stable streaming thanks to its interference-free connection so that you can always have crystal clear digital vision and sound from the 2.4 inch high quality LCD display screen. And oh, this one here has a two way talk back communication feature so that you can comfort your baby with the sound of your own voice even if you're not in the same room. 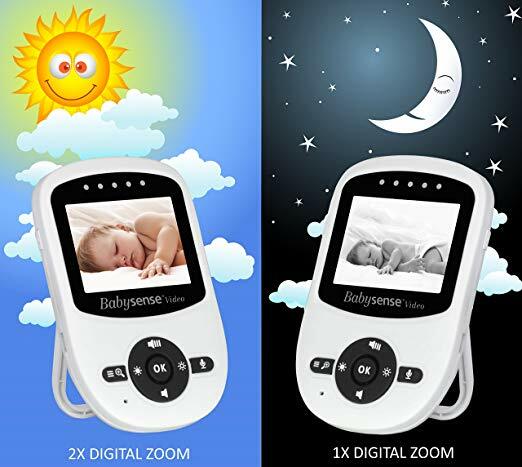 The automatic infrared night vision allows you to see baby clearly even in the dimmest of lights and the 2x digital zoom allows you to watch your baby more closely with just a touch of a button. Other features include room temperature monitoring (you will be alerted if the in-room temperature becomes too hot or too cold), alarm/timer setting, sound activated LED indicators and eco mode voice activation whereby the screen on your parent unit will turn off if the baby unit does not detect any sounds in your baby's room. Likewise, the monitor screen will automatically light up and start transmitting sound and video signal once sounds are detected by the baby unit. Seriously, for a price like that of the Babysense Video Baby Monitor, one would not expect it comes with so many features so this is definitely one best value video baby monitor. Apart from an automatic scan view, you can manually pan (360 degrees) and tilt (60 degrees) it too and with its multi-camera expandability of up to 4 cameras, this makes for one of the best baby monitor for twins (or triplet) too! 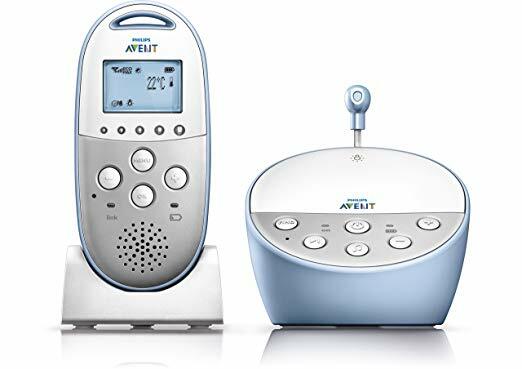 The Philips Avent DECT Baby Monitor is a long range audio baby monitor that we'd highly recommend if you're on the hunt for an audio-only long range baby monitor. Different from the usual FHSS wireless transmission, this one here uses DECT technology for a secure private connection that guarantees zero interference with a range of up to 900 feet. Not only does it have data encryption to make sure it is secure and only you can hear your baby, DECT technology also eliminates interference from any other transmitting products like cordless phones and cell phones so that you can hear high quality and crystal clear sound with perfect clarity all the time. 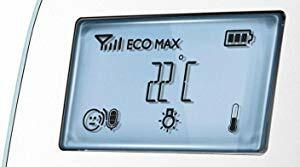 A customized temperature sensor is included to alert you (through the digital display on the parent unit) if there is a climate or temperature change in your baby's room. Other features include vibration alert and docking station for the rechargeable wireless parent unit, night light as well as lullabies to help your baby drift off to sleep in no time. And the talk back feature lets you comfort your little one with the sound of your own voice from wherever you are in the house without having to rush to the nursery each time. The Philips Avent DECT Baby Monitor is very similar to Babysense' in many ways, with the exception that it does not have a video function. If for some reason you prefer a long distance audio baby monitor, then we'd say go for it - you'll not regret your purchase! 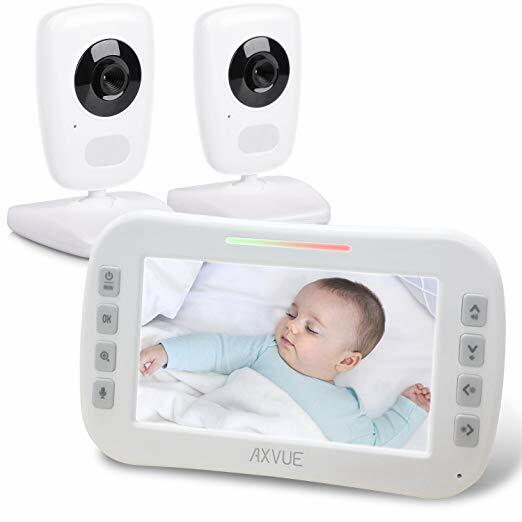 Another long range baby monitor that we'd like to introduce to you is the AXVUE E632 Video Baby Monitor that comes with 2 camera units (psst, it is a popular choice of baby monitor for twins too!). This 2 way baby monitor has a range of up to 800ft (open space) using digital 2.4GHz technology so that you get exactly the same image and sound from the camera side without any video information compression loss. You get to sing or talk back to the camera unit so that the sound of your voice can soothe your baby even if you're not in the same room as s/he. What we really like about the AXVUE E632 is that it has a 5 inch colour screen which is about the biggest LCD screen you can find in a baby monitor parent unit. 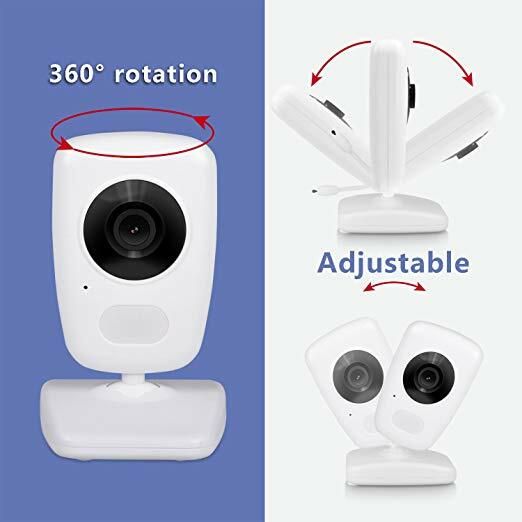 This, combined with the multiple rotation/tilting and zooming features allow you to have a good and wider view of your baby in the room, and the automatic switching function between the two cameras shows your baby from different angles. Another video baby monitor with temperature sensor, the AXVUE E632 is also a baby video monitor with vox which basically means it will inform you automatically whenever your baby is crying. In power-saving mode, it can last up to 8 hours and the infrared night vision function lets you see baby vividly even in a dimmed room. The AXVUE E632 Video Baby Monitor is extendable to 4 camera units so if you have a rather spacious room or rooms, or if you're having twins or more, this is one of the best long range baby monitor you can consider. 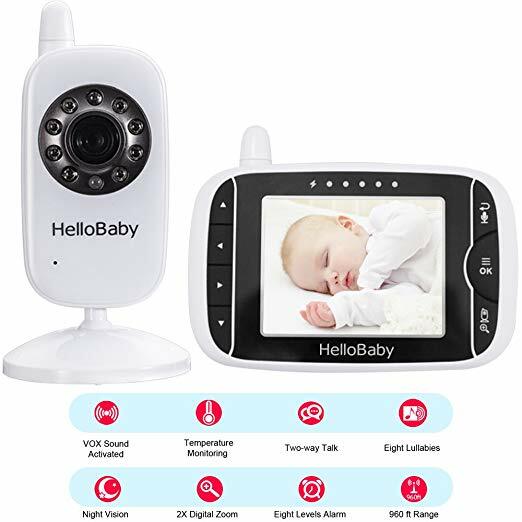 Last but not least is the HelloBaby 3.2 Inch Video Baby Monitor that also has baby monitor vox capability so that you can be alerted immediately when baby cries in his room. 3.2 inches LCD display with 2.4GHz wireless technology, this video baby monitor has a 960ft transmission range so it definitely fits the bill of long range baby monitor. It uses frequency-hopping and digital encryption technology to ensure the security and reliability of your data, so as to protect your privacy. One thing worth mentioning is the auto-mute and multi-transmitter capability this baby monitor has. The speaker of the monitor will automatically turn off if the sound is below 50db for more than 7 seconds in the room where the camera is placed, and will be activated when any slight noise occurred. This way, you can know immediately if baby is fussing (or giggling, or burping/hiccuping - you get the idea) without having any white noise (if your nursery has) disturbing your sleep. As with any good video baby monitor, the HelloBaby has a two-way talkback intercom function to comfort babies as well as infrared night vision and temperature monitoring. There are also up to 8 lullabies to soothe and calm your baby so that s/he can fall asleep in a flash. 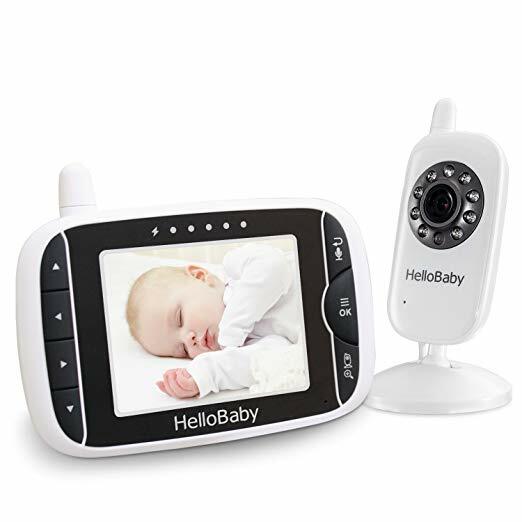 The HelloBaby 3.2 inch Video Baby Monitor is an affordable baby monitor that has everything you need in a long range baby monitor without the hefty price tag. However, keep in mind that there is no extendable feature with this one so it might not be suitable if you're having twins. 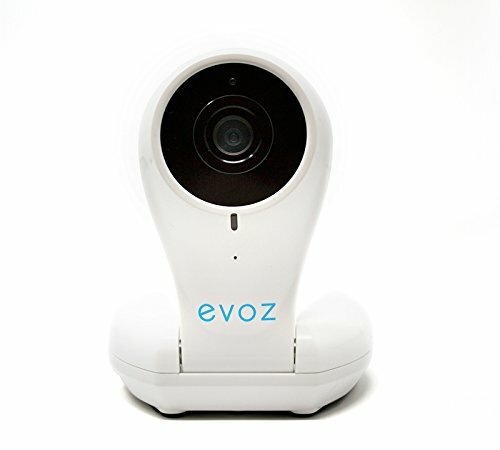 The Evoz Vision Baby Monitor is our favourite long range baby monitor of its kind with its sleek appearance and top notch features and quality. Easy to setup and connects securely to all iOS and android devices, it can be viewed by more than one person at a time. Of course, you will have complete control of who is allowed to view the monitor so grandparents and sitters can have access to your baby monitor camera if you wish. What sets the Evoz apart from other baby monitors is its patented alert technology. It uses cry detection algorithms to distinguish baby cries from other household noises, after which it will notify you with an SMS, email or push alerts when your baby cries based on your personal settings. You can then see what the camera saw (with night vision) when the cry was detected and its smart technology will automatically collect these crying and room data. Note that you can also input information from feedings, changings, sleep, temperature and milestone dates as well as take pictures with the camera on its easy-to-navigate app. The graphical and raw data format export feature will allow you to easily share these stats with doctors should there be a need. 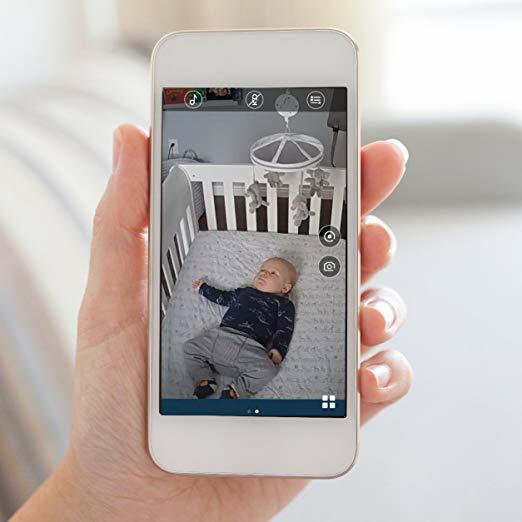 The baby monitor video feature on this device allows the cameras to capture a clear picture of your baby day or night with its HD wide-angle lens and IR LEDs. Pristine images are sent to your mobile device so you know exactly how your baby is doing within seconds. The downside of the Evoz Vision Wifi Baby Monitor is definitely its price - it is one of the most expensive baby video monitor we have reviewed in fact - but for everything that it is, we think it is worth the investment made. You can say it is more than just a baby video monitor as its app also contains tailored parenting advice based on the data it collects and your child's age. Helpful parenting videos, tips and tricks from baby experts like Kim West The Sleep Lady can be conveniently and directly accessed from your mobile device, and you can play lullabies, music, and even audiobooks to calm and soothe your baby anywhere, anytime! We will be honest - the Netgear Arlo Baby Monitor comes very close in second compare to the Evoz with equally comparable high quality and premium features that fits the best long range baby monitor title. Similarly, it allows you to check on baby with just a tap of your finger on your mobile device from anywhere in the world. The video quality is 1080p HD so that you can view live or recorded videos in excellent detail and rich colour. Even in total darkness, the near-invisible infrared LEDs let you see your baby clearly. Motion and audio alerts are sent straight to your smartphone or email so that you can know instantly when your baby is moving or crying. All moments are securely recorded with bank-grade encryption so you know you've got your privacy protected and these data can be accessed and downloaded anytime from your smartphone. Keep in mind that you will have to do so within 7 days, as recordings are only saved for 7 days for free. One distinctive feature of the Arlo is that it is smart home ready. Meaning? It works with Amazon Alexa on the Echo Show, Echo Spot, Fire TV, and Fire tablets using simple voice commands. Likewise, it also works with Apple HomeKit to let you ask Siri to stream video directly to your iPhone, iPad, and Apple Watch. For those that are tech-savvy, this couldn't be a more attractive feature to have. Other smart features include multi-colored night light, lullaby player, temperature, humidity & VOC air sensors. 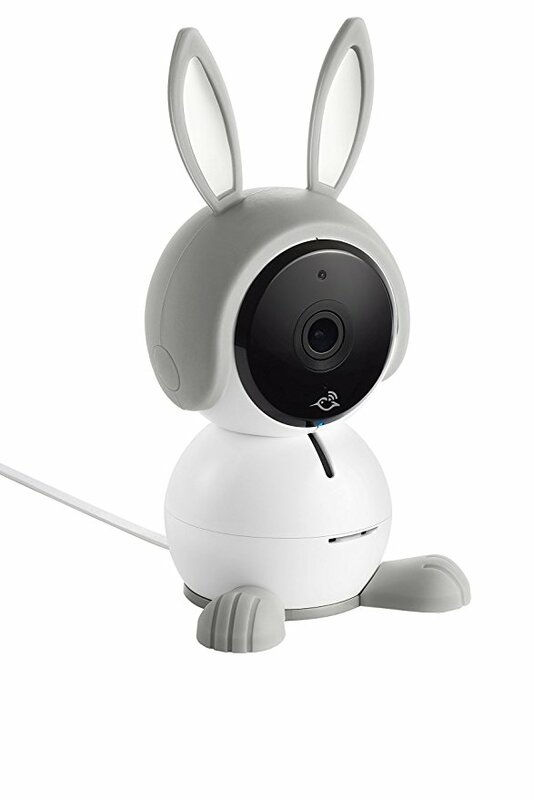 As you can see, the Netgear Arlo Baby Monitor is rather similar to the Evoz in many ways, with the exception that the latter has more features like parenting tips and advices. 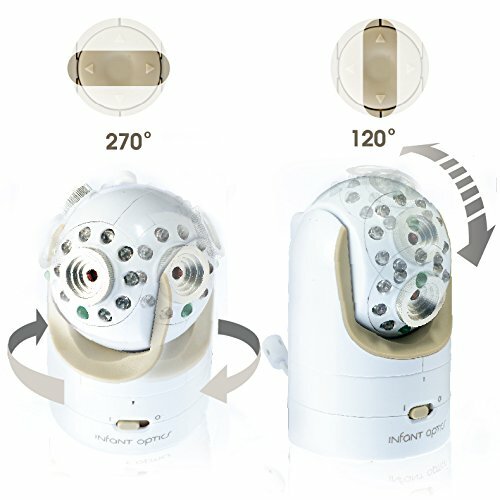 If this is not something of particular importance to you, the Arlo is actually a better choice in terms of extended range baby monitor because first of all, it is cheaper than the Evoz and secondly, it is a two way video baby monitor so you can comfort and talk to your baby from anywhere, be it from the office of the living room. And if you are into tech and smart home gadgets, this is a no brainer! 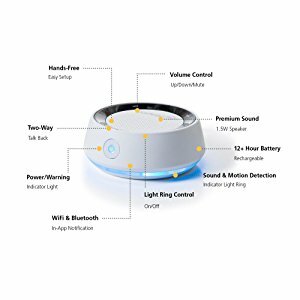 The last product in our long range video baby monitor reviews is the Safety 1st HD Wifi Streaming Baby Monitor that has excellent features of its own. 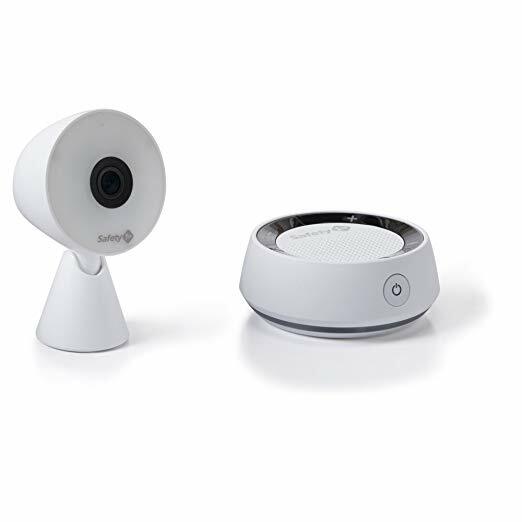 One standout feature of this long distance baby monitor is definitely its 130 degrees super wide angle that minimizes blind spots, as opposed to other video baby monitors which offer a narrower field of view. This, together with its 5x digital zoom, is particularly useful for big nurseries because it allows you to get a full view of the nursery or crib without panning and tilting. Further, it uses less wifi, data and power than other video baby monitors. This means you can stream live video without any of the lag or buffer that other monitors sometimes will. It also comes with a one-of-a-kind smart audio unit that lets you keep a constant ear on your baby by alerting you to both sound & motion. The featured noise and motion activated technology means that it stays in quiet mode, without constant white noise, until sound or motion is detected. When noise is detected, audio is streamed from the nursery to the Smart Audio Unit directly to your phone. Remember to use the Safety 1st Baby Monitor app to customize alerts to the level of your baby's movements or sounds, so you are notified only when it matters most to you. The app also features two way talk and a 24-hour timeline view so you can review nursery activities. You can even save and share images and videos directly from the app onto social media, or via text with family and friends. While it provides clear 720HD video quality, this is not as high definition as the Netgear Arlo which is probably the only reason we'd rate it below the latter, considering both are priced the same. 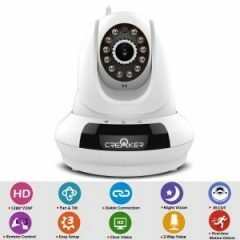 However, the super wide angle and 5x digital zoom of the Safety 1st HD Wifi Streaming Baby Monitor are indispensable benefits that are of particular usefulness especially if you have a bigger nursery, which is why it indisputably remains as one of the best long range baby monitor in the market. Do you know that white noise actually helps baby to sleep better, although it may sound annoying to you? Find out what are some of the devices that actually work to achieve this here.